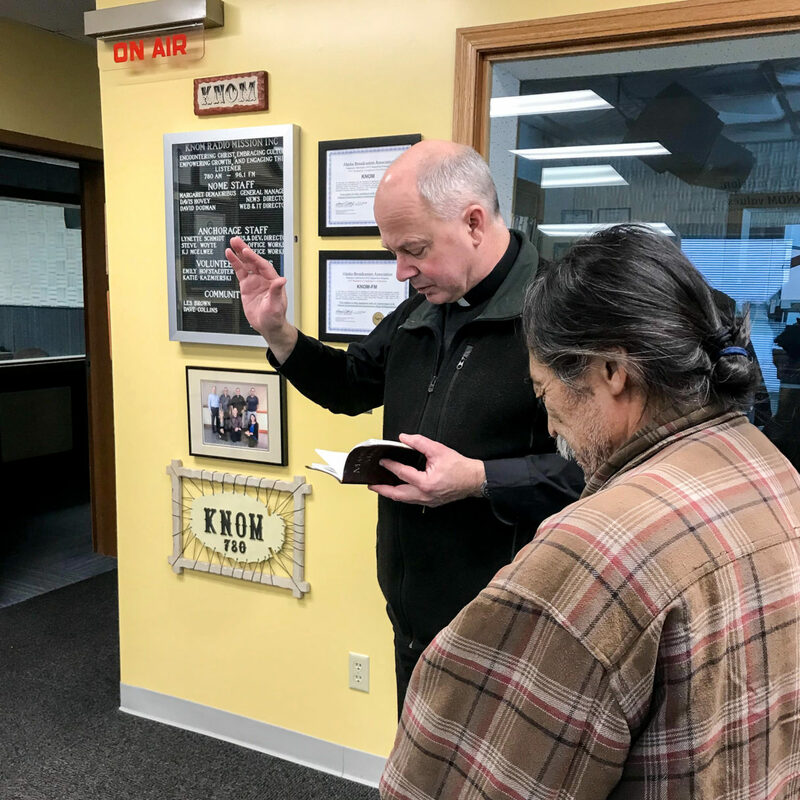 Bishop Chad Zielinski recently visited Nome, and KNOM studios, as part of a tour of parishes throughout the Diocese of Fairbanks, which includes the far-flung parishes of Western Alaska and the KNOM listening area. 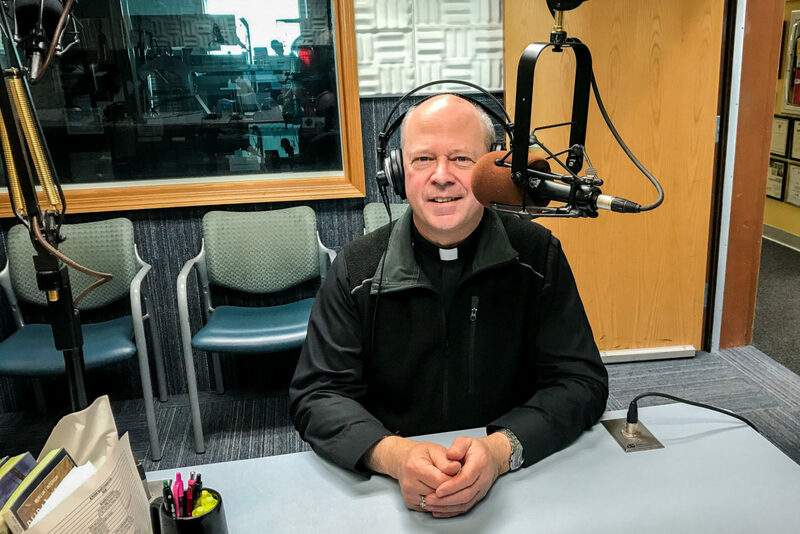 Bishop Chad also took time to bless the KNOM studios with holy water and celebrated Sunday Mass at nearby St. Joseph Catholic Church, in a service broadcast to thousands on KNOM AM/FM. 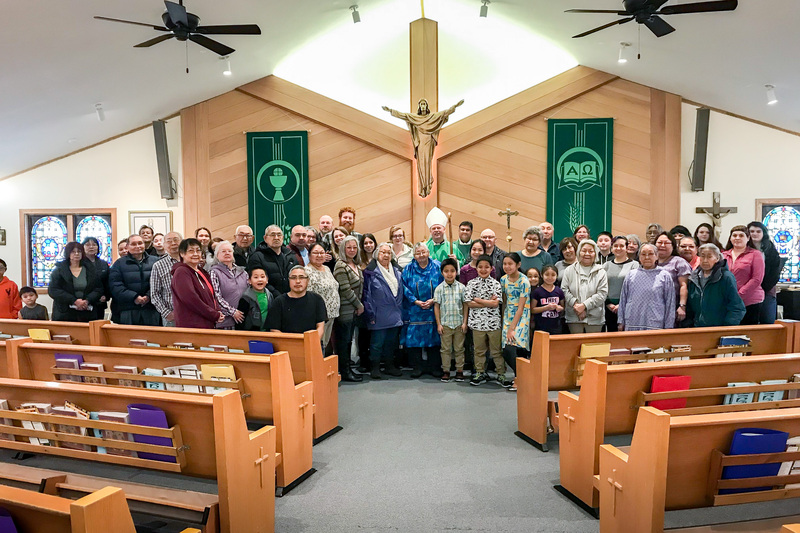 KNOM enjoys a cordial partnership with Bishop Chad and the Diocese of Fairbanks. 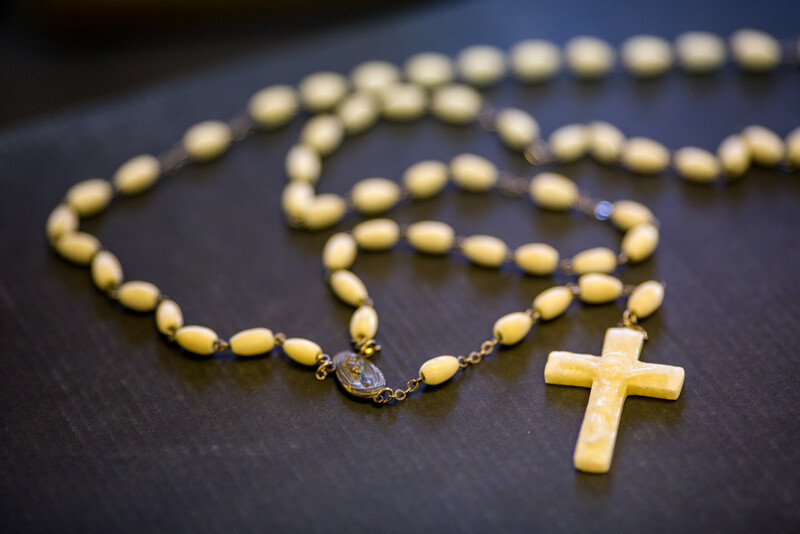 The Catholic radio mission operates as a financially independent ministry. Image at top: Bishop Chad Zielinski inside KNOM studios, recording messages for broadcast. 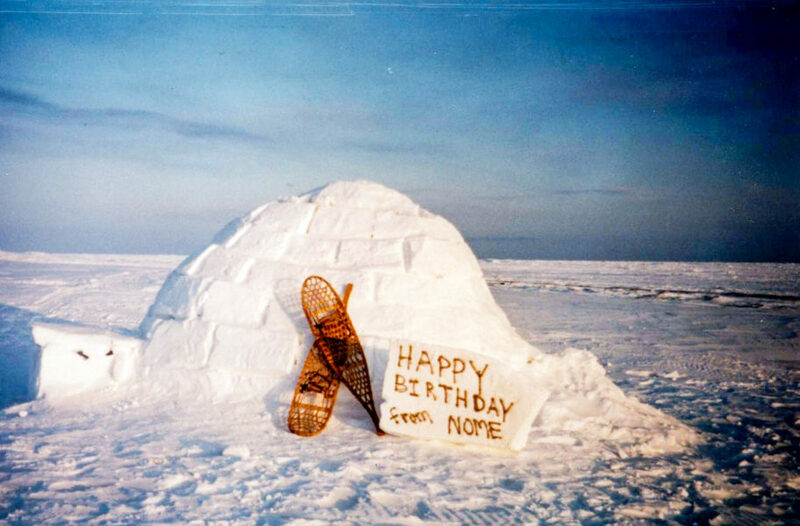 Photo: Margaret DeMaioribus, KNOM. Bishop Chad blesses the studio beside Nome resident Daniel Komok. Photo: Margaret DeMaioribus, KNOM. Bishop Chad Zielinski (center, back row) with parishioners of Nome’s St. Joseph Catholic Church. Photo: Margaret DeMaioribus, KNOM.